Guest Post: I hate it. She loves it. 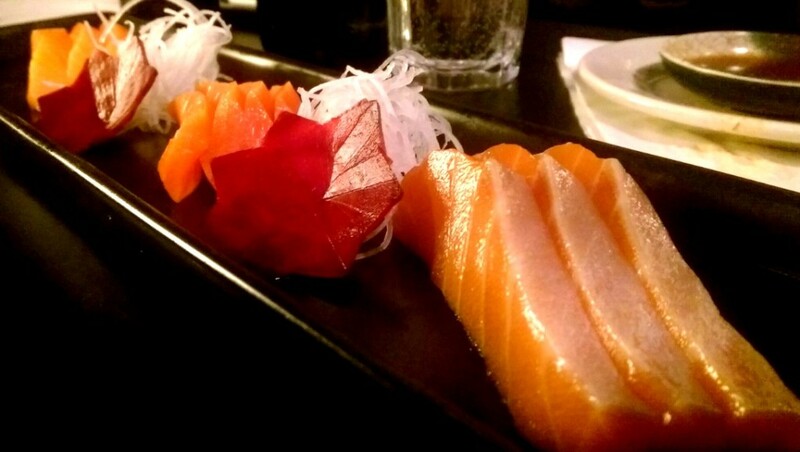 My best bud weighs in on great places to eat sushi, specifically salmon, here in Portland. Portland isn’t all 3D headcheese and candy. Portland may not have been literally founded by eels, but enough infrastructure has been built on the backs of fish that the South Park building is haunted by the physical specter of a monstrous bronze salmon, imprisoned in brick as a distressing reminder of Portland’s debt to our scaly chums. In fact, attempts have been made to acknowledge the emblematic importance of seafood in Portland’s history; one of the most popular (albeit failed) proposed designs for the Oregon state quarter in 2005 featured a salmon bonelessly flinging itself through the air. Majestic! Salmon are not just the only drivers allowed to pump their own gas in Oregon, they are also the Oregon State fish. The Chinook Salmon, to be exact. Some states don’t even have a state fish (Sorry, Kansas!) but Oregon’s is awesome. Salmon is my favorite fish. And I like it straight! So when I get a craving for the official state water candy, I want sushi. Salmon are found in both the Atlantic and Pacific Oceans, with nine distinct species commercially available. 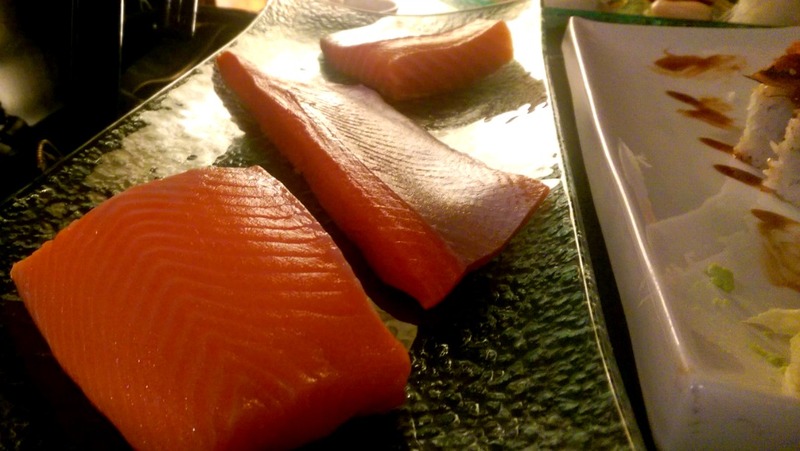 Different kinds of salmon are served year round, depending on availability, price, and taste. We asked to go to salmon school at Samurai Blue, a sushi and sake bar on Mississippi. 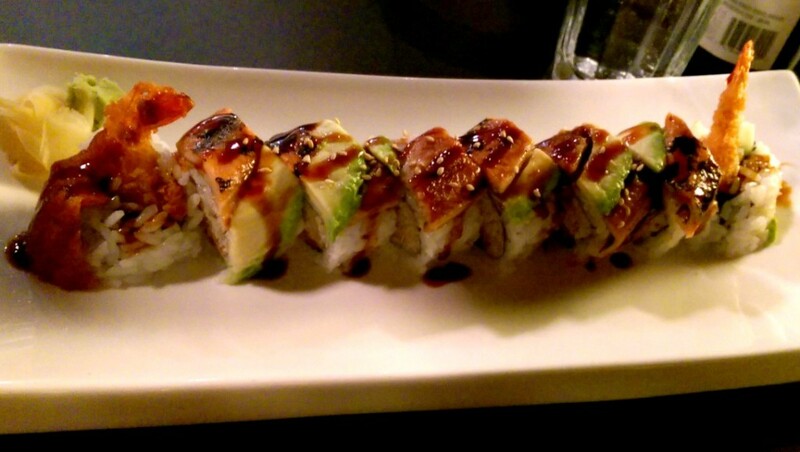 Samurai Blue has a great booze selection, and a really exciting menu. The sushi chef kindly brought us the three kinds of salmon they had available, and explained the various features of each. Stirling Salmon is a farmed fish from Vancouver, B.C. with a delicious fatty flavor. Sockeye, from Alaska, is a good “go-to” salmon. The last fish is a Tasmanian salmon from New Zealand; a great midrange option. The taste of salmon is influenced by the food source, the quality of the environment, the fat content, and the area in which they are raised. Generally, the fattier the salmon, the more robust and intense the flavor. There are tons of fabulous places in Portland to celebrate salmon. Great for a fancier date night, Masu sushi has a terrific, intriguing drink menu and a remarkable selection of specialty rolls. The aptly named “Death by Sushi” comes smothered in the equally nominative “fantasy sauce.” Try not to cry or you’ll need to tip extra. This place also has space age bathrooms. Groovy! I love this place. Sandwiched between a convenience store and a rotating tobacco merchant, it barely looks like there’s room for a sardine in here. Tiny, slightly cramped, the walls are papered with the daily specials, announcing which kinds of fresh salmon are available or trumpeting a deal on fried oysters. The central feature is a sushi train, toting edamame, seaweed salad, California rolls and sesame donuts with red bean paste. 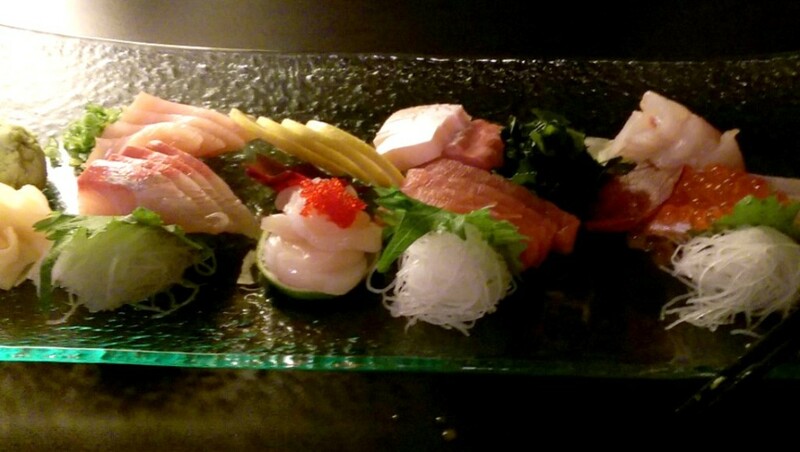 The fish is delicious and fresh, my favorite budget option for sushi.